Spartan Chemical Company, a recognized leader in the formulation and manufacture of sustainable cleaning and sanitation solutions for the industrial and institutional market, was recognized as the Interline Brands Supply Chain Leader for 2017. Each year, Interline Brands is proud to present its annual partnership awards to recognize vendor partners for superior performance in key areas. This year, Spartan was chosen based on many factors such as the ability to display superior operating efficiencies, encompass excellent service levels and continuing lead time improvement, as well as always providing advance notice of potential supply chain disruptions. Nominees are selected by Interline associates and leaders from multiple departments, and winners are chosen from a group of finalists that have distinguished themselves in one or more of the award categories. 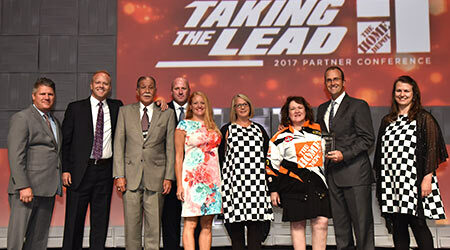 Spartan was presented with the award during the Interline Brands Annual Partner Conference on Friday, August 25, 2017 in Orlando, Florida.